In an era of information, our information is so easy to be exposed to the public. In order to protect ourselves, there is a need to create strong and unforgettable password to protect our private Office files. Password is a secret word or string of characters that are used to provide an identity to gain access to a resource. We can say that this is the most important step to provide you security against cyber crimes. So it is really important to set a strong password in order to protect your personal electronic data. Then how to set strong and unforgettable password is a problem troubled most of us. Below are some ideas which will help you in creating a strong password. Use 10 or more character long password instead of using 8 characters because the longer your password is, the harder it is to guess by unauthorized person. You can use a password which is a mix of letters, numbers, and symbols. 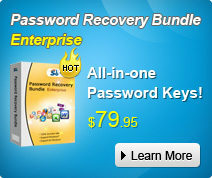 But do not use so many special characters in a single password; it will be hard to remember. Use variation of capitalization and small letters so that password will be hard to guess but still remains easy to remember. Try not to add any common words in your password such as 123, password, your birth date, your login name and any words that can be found in the dictionary. You should change your password regularly to avoid hacking of a password. Setting a strong password is originally a good thing, but if you yourselves cannot remember it, it would turn to a troublesome matter. Following passage will tell you how to avoid forgetting password. 1. Set unforgettable password such as your family’s birthday (not yours because other can guess it easily), your beloved pet’s name, and the phrase that only you know etc. 2. Use the password you often take and keep three different passwords that you use so that you can exactly remember what they are. 3. Use a password manager tool to help you remember and replays all your complex passwords. However, unless you have superhero memory you cannot remember all passwords for different Office files. If you happened to forget Office password, don’t be freak out, use the Office password recovery tool to recover or remove your password. No matter what kind of password you forget (Excel, Word, Access, PowerPoint, etc. ), Office 2013 Password Recovery will help you crack Office password by providing online password remove service and offline advanced Office password recovery.